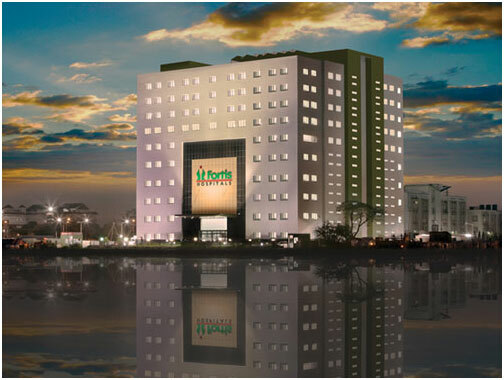 The Fortis hospitals in Kolkata is the newest addition to our well established network.It is a super speciality hospital with focus on Cardiology/Cardiac surgery, Urology/Nephrology, Neurosciences, Orthopaedics,Minimal Access surgery and Critical Care.The hospital incorporates the most advanced design and material combination,being environment and patient friendly at the same time.Backed by PACS network giving Clinicians instant bedside information,the hospital will offer unmatched infrastructure in the core specialities providing the latest patient care techniques.The hospital is commissioned to function from July2010. Established in 1988 Fortis Hospital and Kidney Institute, Kolkata is the only hospital in Eastern India which is dedicated to kidney care. It has over the years matured as a super specialty hospital devoted to all kinds of nephrology and Urology diseases. Our compassionate patient care and dedicated service places Fortis Hospital and Kidney Institute, Kolkata in a higher pedestal than others in the area. The Kolkata Medical Centre is an eye clinic that provides Opthalmology service including the clinical expertise of international repute, and sophistication of diagnostic and treatment procedure is serving the needs of the patients across a spectrum of eye disorders, specifically for cataract and anterior eye surgeries. Kolkata now has one more thing to boast of – a world-class super speciality healthcare facility. The 10-storied, sprawling 3 lakh square feet facility is equipped with the latest in the medical world. The 400 bedded hospital is easily accessible too, located on EM by pass road. With special focus on Cardiology and Cardiac Surgery; Urology and Nephrology; Neurosciences, Orthopaedics, Digestive Care, Emergency Care, and Critical Care, the hospital has some of the best experts in India. Our amenities include a 24-hour accident and emergency service including trauma treatment, ambulance services, blood bank, fully functional operation theatres, cardiac operation theatre, preventive health check, diagnostic and catheterisation laboratory, critical and emergency care, diet counselling, physiotherapy and rehabilitation, laboratory and microbiological services, stress management, 24-hour pharmacy, endoscopy unit and emergency room. We also have a Nephrology department with over 28 advanced dialysis units and chemotherapy beds. Our intensive care unit (ICU) is well-equipped with over 70 beds that include a Medical Intensive Care Unit (MICU), Coronary Care Unit (CCU), and recovery and isolation beds, with separate high-dependency units. We have also provided 64 beds, in twin-sharing cubicles, for the attendants of ICU patients of the critical care department. The building, governed by Integrated Building Management System (IBMS), has a pneumatic chute system, for quick vertical and horizontal transportation between floors, facilitating speedy transfer of patient specimens, documents, reports, and medicines to the concerned departments. This saves time for rendering effective and efficient healthcare to the patients. All this in Kolkata, because we understand that quality healthcare should always be within your reach when you need it. That’s why we have now come to your door step, so you don’t have to travel elsewhere. Discover a world of healthcare excellence that you have always deserved at Fortis. For over two decades, we have provided the paramount in cardiac care in India with many life saving breakthroughs to our credit. Now we bring the same expertise to you. Our 24X7 ultra-modern Heart Care facility at Kolkata is equipped with a 20-bed CCU. 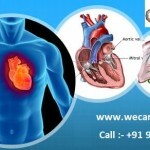 This speciality is handled by a group of renowned cardiologists, cardiothoracic surgeons, and electro-physiologists. Ably supported by a team of highly competent paramedics and nurses, Fortis Hospitals Heart Care stands out as a centre of excellence in Interventional Cardiology and Cardiac Surgeries. In fact, our cardiac healthcare programme is the best in Asia in terms of prevention, diagnosis and treatment of cardiac ailments. Which made it possible for us to successfully treat over 48,000 heart patients in the last year alone. The Fortis group of Hospitals is renowned for its comprehensive preventive and healing programmes in the field of Brain and Spine care. Our Brain and Spine care centre at Kolkata, has the best neurologists, neurosurgeons and spine specialists supported by a team of skilled para-medics, nurses and the latest technology. It offers continuous and excellent treatment facilities round-the-clock for all neurological disorders, such as epilepsy, movement disorders, cerebral strokes, degenerative disorders, and injuries including emergencies. In fact, we are one of the very few facilities in the country to use the most advanced microscope and neuro-navigation facilities to conduct precision driven complex surgeries. 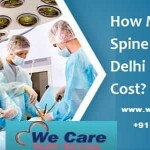 Our renowned professionals and skilled para-medics, backed by the latest neuro-diagnostic and imaging facilities such as Intraoperative Imaging Integration, Video-monitoring, CUSA system, EEG, ENMG, Avanto MRI, 64 Slice CT Scan etc., and advanced micro-surgical techniques can tackle complicated Brain and Spine disorders, including emergencies, anytime. Treatment for Backache, Spondylosis, Injury, Deformities, Tumours, etc. All neurological disorders are managed well – Epilepsy, Movement Disorders, Cerebral Strokes and Degenerative Disorders. Brain Surgery for Removal of Blood Clots. Providing cutting edge diagnostic facilities and treatment, Fortis Hospitals is one of the most sought after facilities for orthopaedic care in India. In fact, we have the most advanced orthopaedic department in the country. The Bone and Joint care at our Kolkata facility is handled by eminent Orthopaedic and Trauma surgeons, and Rheumatologists backed by skilled para-medics. Possessing the latest in medical technology, it helps us to perform complicated joint replacement surgeries and hip resurfacing procedures accurately. And also treat musculo-skeletal ailments like arthritis and rheumatism through conventional or minimally invasive Arthroscopic surgeries, including the management of complex trauma procedures. Ours is also one of the very few facilities in India to offer Orthopaedic Oncology. The department is equipped to carry out bi-columnar Acetabular and infected joint replacement surgeries including restoration of failed trauma services, and neglected trauma fractures. All, just to put you back on your feet faster and make you walk with your head held high. Fortis Hospital and Kidney Institute (formerly Wockhardt Hospital & Kidney Institute) is amongst the oldest and most trusted healthcare establishments in Kolkata. It has been in existence for over 20 years and is the first ISO certified Kidney hospital in East India. Over the years, we have evolved into a centre of research, learning and innovation for Kidney Care. Our legacy in Kolkata makes us the most reliable and trusted specialists in uro-nephro care. Our Kidney Care centre at the Kolkata facility has many feathers in its cap such as the non-surgical way of treating Kidney stones in India, performing the maximum number of kidney stone removals as well as kidney surgeries per month. Supported by the most advanced technology, an independent kidney transplantation unit, we have treated over millions of patients with a success rate of almost 100 percent. The Department of Urology at Fortis Hospital is a pioneer in urological treatments and research, with a dedicated medical and surgical care backed by a state-of-the-art facility for all aspects of adult and paediatric urology. The specialty provides screening, staging and the most up-to-date treatment of all uro-genital cancers including kidney, ureter, bladder and prostate. The Department of Urology has a complete range of facilities to provide comprehensive services in the management of urological conditions. TURP -Transurethral Resection of the Prostate, a surgical procedure to deal with patients with an enlarged, benign (non- cancerous) prostate, called Benign Prostate Hyperplasia or BPH. BLADDER TUMOUR – is an excess growth of cells that occurs on the internal surface of the bladder. A tumour may be either cancerous or non-cancerous. PAEDIATRIC UROLOGY – Paediatric Urology involves the diagnosis and treatment of all urological problems encountered in children. UROENDOSCOPY – a device consisting of a tube and optical system for observing the inside of a hollow organ or cavity. This observation may be done through a natural body opening or a small incision. URO-ONCOLOGY – Treatment of patients with cancer disease in the urinary tract including major reconstructive surgery on bladder and prostate. PROSTATE DISEASE (SPECIALITY CLINIC) – We have a speciality clinic within our hospital for the diagnosis and treatment of prostate diseases. TREATMENT OF HAEMATURIA – Haematuria is the presence of red blood cells (RBCs) in the urine. The urine appears normal to the naked eye, but examination under a microscope shows a high number of RBCs. We effectively evaluate and treat all types of urinary incontinence and haematuria. Fortis hospital has inherited the expertise and full team that pioneered stone management under the Wockhardt banner following modalities are available at the highest level. LITHOTRIPSY – A powerful Dornier Lithotriper which uses both X-Ray and ultrasound localisation for real time image. This allows the stone to be seen at all times during treatment. With this machine the patient needs only a light sedative and the pain is minimal. The lithotripter generates shockwaves, which crush dense stones into sand like particles, which easily pass with urine. PCNL – PercutaneousNephrolithotomy provides patients with a safe and effective way to remove kidney stones using a minimally invasive surgical procedure. A form of key-hole surgery that is used for larger or remotely located stones in kidneys. URS / URSLC (URS Stone Removal) – Ureteric stones are removed by passing aureteroscope through the urethra and bladder. The surgeon locates the stone, removes it with special instruments or fragments the stone by using the Swiss Lithoclast or holmium laser . 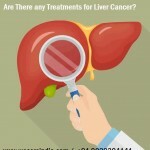 LAPAROSCOPIC SURGERY – This is an option in certain cases depending on the size and location of stones, existing diseases etc. LASER UROLOGY – Holmium Laser for renal and ureteric stone removal. OPEN SURGERY – The larger stones (staghorn, etc.) which cannot be removed by above techniques are removed by open and conventional surgery. Specialised in all aspects of nephrology, critical care and transplant nephrology, Fortis Nephrology Centre provides personalised health care services in all aspects of nephrology including hemodialysis, peritoneal dialysis, critical care and kidney transplant. We have performed the maximum number of dialysis in Kolkata. Our team of experts provides compassionate and the best possible care for each of our patients. Fortis utilises the most sophisticated diagnostic procedures and the latest surgical techniques to treat all nephrological disorders. There are two types of dialysis: hemodialysis and peritoneal dialysis, both of which are available at the Fortis Hospital and Kidney Institute. PERITONEAL DIALYSIS (CAPD) – This is an entirely different way of filtering wastes from the body. Peritoneal dialysis utilises the peritoneal membrane, which is the lining of the abdominal cavity.